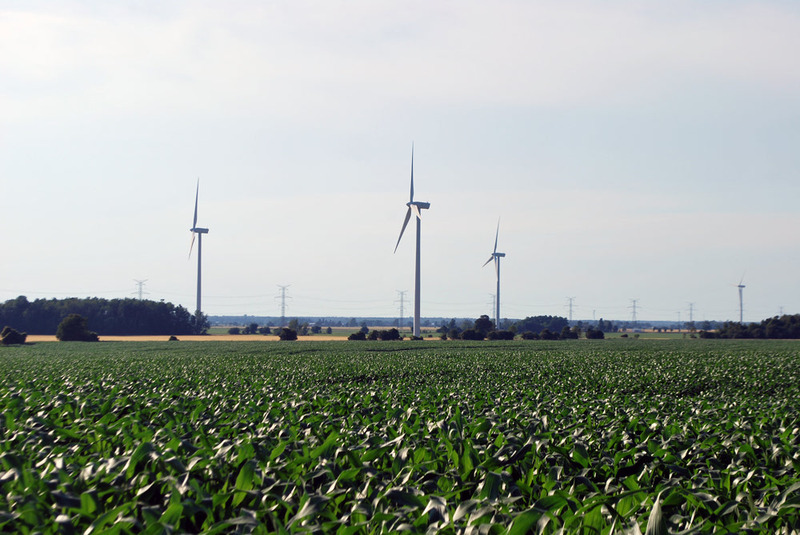 A study on the health impacts of wind turbines in Huron County didn’t get enough buy-in from residents to achieve its original goal. The study sought to have Huron County residents who live in close proximity of turbines fill out diaries about their experiences for one week a month. While there were approximately 30,000 households eligible to participate, being located within 10 kilometres of a turbine, Huron County Health Unit’s Dr. Erica Clark, an epidemiologist, said the study encouraged participation from homes within a five-kilometre radius from turbines, which in Huron includes about 5,000 households. Clark said that more than one resident could participate from each household, however only 113 participants signed up. Clark explained there wasn’t enough buy-in for a regression analysis, which was what was originally intended. She said the study would need at least 1,000 respondents, meaning, with a conservative estimate of two people per each of the 5,000 aforementioned households, that meant the study required approximately 10 per cent of the total residents in the focus area, but achieved approximately only one per cent buy-in. Clark said that turbines are still a important topic in Huron County, as she fields many inquiries about them, but said participants may have been daunted by the amount of work necessary to participate in the study and what the end result may be. She said some people felt that, as the Huron County Health Unit has no regulatory authority to make any changes regarding the turbines, the time and effort wasn’t worth it. She said it represented a significant investment of time and effort for participants, and they would need to feel there is a strong benefit to participation to be involved. Clark said that, despite the low buy-in to the study, the schedule for the study will remain with an interim report coming out in early December. The report will cover the number of participants and what steps are next with the project. “It will acknowledge we aren’t able to do the regression analysis,” she said. A final report, which Clark said may include a modified style of studying the data included, will be presented in 2019, however the data in that study may have limited usefulness, Clark said. Earlier this year, another interim report on the study looked at the experiences of the 40 respondents who were involved at that time. Clark reported that wind turbine noise, vibration and light negatively impacted 60 per cent of those 40 total respondents. The report was released in July and is available through the Huron County Health Unit. The study was deemed necessary in 2015 by the Health Unit based on another study undertaken by the Council of Canadian Academics, which stated there was sufficient evidence of annoyances caused by the turbines, limited evidence of sleep disturbance and inadequate evidence of other adverse health effects. The council noted that further research was necessary to determine potential human health risks. Identified knowledge gaps needed to be filled and the Health Unit’s study was designed to focus on two such gaps: the impact of turbines on children and infants and the lack of a reporting system providing consistent collection of residents’ experiences. The study then set out to collect and analyze observations for one year from Huron County residents who live near turbines to understand what, if any, impact turbines had on the residents. For more information, visit the Huron County Health Unit website at www.huronhealthunit.ca.